At Yalah Surf, we serve healthy Moroccan cuisine that leaves you perfectly prepared to surf. 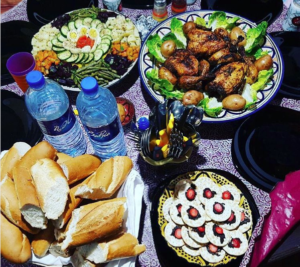 At Yalah Surf Camp, we offer local, Moroccan cuisine for our meals, which is often vegetarian. However, we do serve chicken, fish and beef tajines a few times a week as well. When we serve meat, we always offer a vegetarian option as well. Our chef stays true to the Moroccan spirit with tajines and couscous frequently on the menu. We love to feed our visitors! All meals (breakfast, lunch, and dinner) are prepared with fresh local ingredients and Moroccan spices at the Surf House. We can also accommodate any dietary restrictions that you may have. breakfast: Our breakfasts are composed of a variety of cooked and continental options. We serve boiled eggs, omelets, porridge, fresh fruits and more to offer you a delicious breakfast buffet. 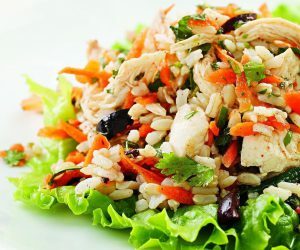 Lunches: We may offer stuffed chicken, spiced minced meat, or tuna and ham sandwiches. However, Yalah Surf also serves plates of chicken & beans, pasta & avocado, and tuna fish pasta salad. 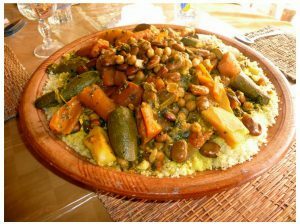 Dinners: Our dinners are often infused with delicious Moroccan spices and made by our local cook. 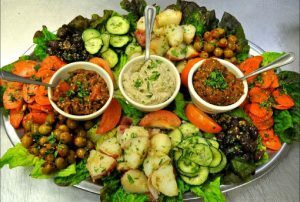 We serve flavorful chicken, beef, fish and vegetarian tajines with salads and soups. It is spread over a communal table, as we believe the best way to eat is with the others. You’ll be sharing food, socializing and making new friends at the same time! It’s the perfect place for all types of travelers. Don’t miss our special meals, either! Our chef serves BBQ on Thursdays and couscous on Fridays. 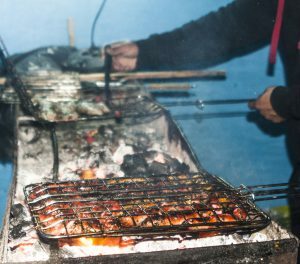 These special meals are part of the Yalah Surf experience, so dig in and enjoy! If you don’t eat fish, meat or have any other dietary restrictions, please let us know upon the booking so our chef can plan ahead to serve you. P.S: P.S. : We can also recommended restaurants and fast-food places in the village.